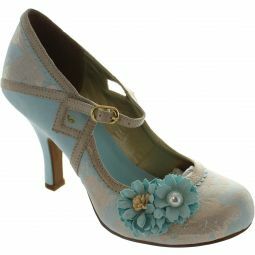 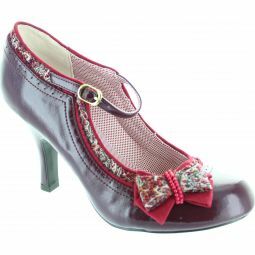 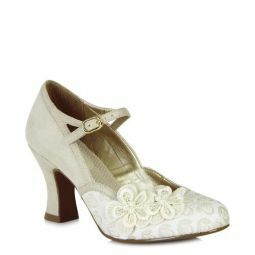 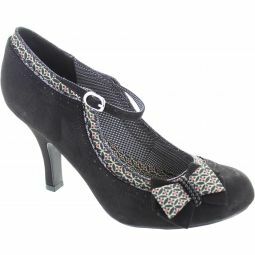 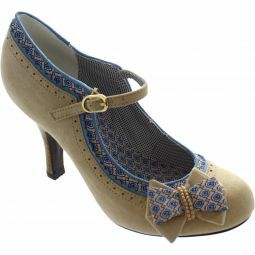 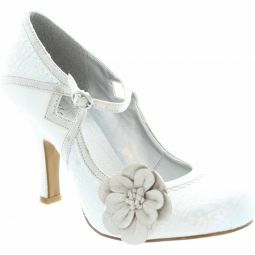 Rich brocade, soft faux suede, glittering metallics and dainty pearlised flower trims make this a dream shoe. 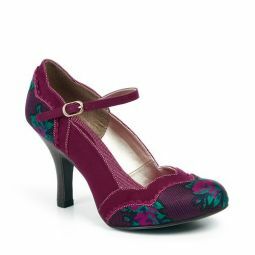 Ruby Shoo YASMIN matches perfectly to bag style PHOENIX. 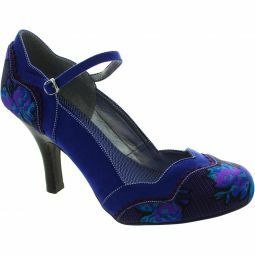 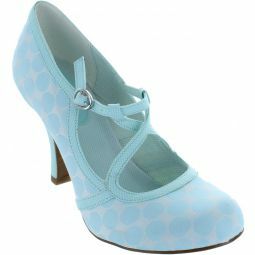 9cm (3 1/2 inch) high heels. 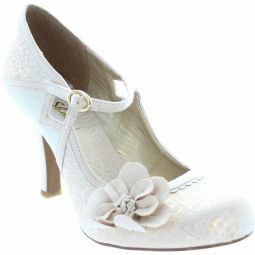 Ideal for weddings.